The first great ICW event of the year. Insane Championship Wrestling (ICW) held the eighth annual edition of Square Go! on February 24, 2019 at SWG3 in Glasgow, Scotland. This was the first of the three major events that ICW carries out throughout the year along with Shug's House Party (July) and Fear & Loathing (November). The show consisted of five matches that had Square Go! Match as the main event. The four titles of the company were in dispute and there was only one title change. It was in the first match of the night. The Kings of Catch (Aspen Faith & Lewis Girvan) defeated POD (Ashton Smith & Rampage Brown) and became the new ICW Tag Team Champions. The biggest controversy of the night occurred in the ICW Women's Championship Match. The duel between champion Kay Lee Ray and challenger Toni Storm ended in No Contest due to the interference of Kasey Owens. Owens has two objectives: to finish the third reign of KLR and prevent Storm from becoming champion. In this way, she can get the title for the third time. In a show of this magnitude, almost all the matches were up to the circumstances, but only a few will be remembered over the months. Here are the three best matches of ICW 8th Annual Square Go! In the third match of the night, the ICW Zero-G Championship was in dispute. 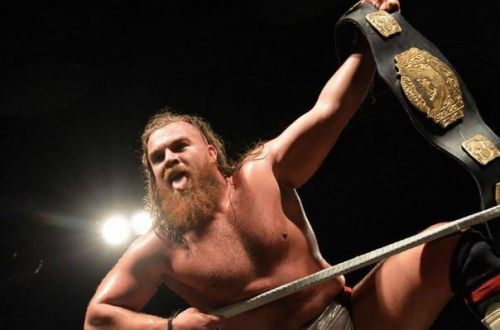 Joe Coffey successfully defended his title against Ilja Dragunov in a match that lasted 10 minutes and 27 seconds. This was the first title defense of Coffey, who won this title after defeating his brother Mark at ICW Fear & Loathing XI in December 2018. It was an impressive match with a great display of strength by both, as well as numerous lariats and variants of suplexes. After a start without a clear dominator, the action moved to ringside where Coffey dominated. Dragunov responded and threw his opponent over chairs in the fan area and then fell on him with a Senton. Back in the ring, there were great moments. While 'Unbesiegbar' stood out with a Powerbomb and a Death Valley Driver followed by a Senton Bomb, Coffey received a standing ovation after reversing a Torpedo Moscow and turning it into a German Suplex. The best moment of the match occurred after a Coast To Coast by Dragunov, Coffey responded with a Lariat but Dragunov got up immediately and carried out the Torpedo Moscow. Finally, Joe Coffey got the pinfall after a final Lariat on Dragunov, who couldn’t get up again.